Soho is a popular and lively destination in London. A quick google of Soho in London and you find the area is pretty central and jam packed of things to do. So jam packed that it can be kind of daunting of what to actually do. 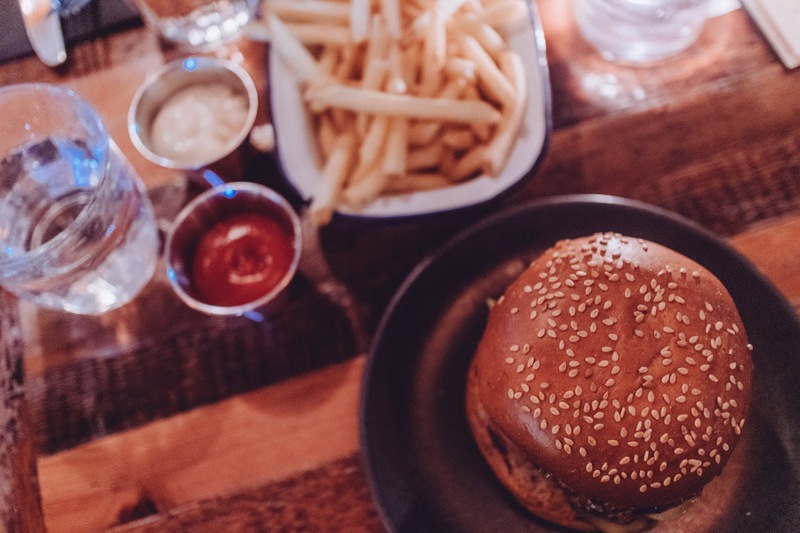 There is no shortage of places to eat or bars, but there is a lot of other things you can do around Soho also. 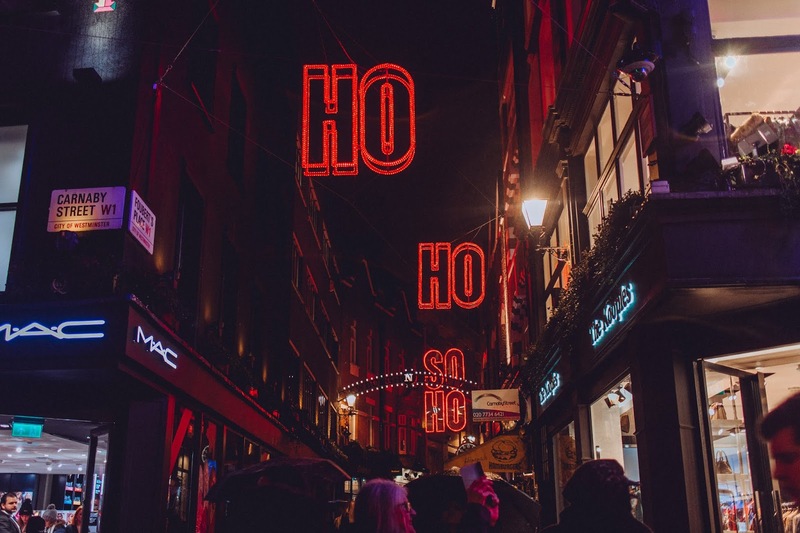 I was challenged to spend a day in Soho so this is a blog post of everything I crammed into a day, but I may mention other little extras you can do. You definitely may want a couple of days in Soho also so looking up Hotels in Soho is a good idea. One of my fave date nights is a theatre show and then a hotel in London for when you finish the theatre in the evening. My first stop for the day was actually a matinee performance at the Dominion Theatre. Which is on the very edge of Soho I would say. So it still counts. But there are countless other theatres in the Soho area with all kinds of very amazing musicals showing, such as Les Mis and Everybody's Talking about Jamie. 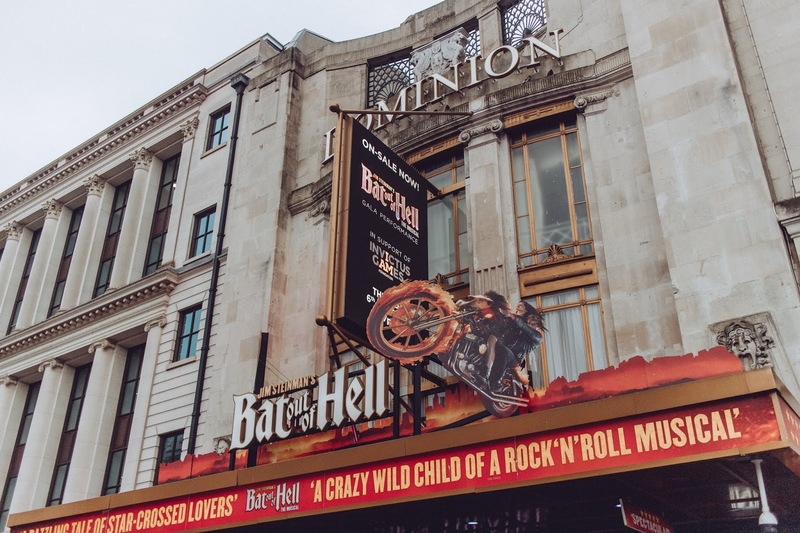 I decided to go and see Bat out of Hell seeing as it ends in January which after watching I was very sad to hear about because it was stunning. One of the best stage productions I had seen in a VERY long while. But also who doesn't love a bit of Meatloaf music too? Was a great little sing along and the matinee showing was actually quite quiet. A nice time to go and see something, but I bet the evening one is more lively and atmospheric. Basically if you have a chance to go and see it before it ends in January 2019 then please do! A short walk away from the Dominion and Tottenham Court Road is then Carnaby Street. This area can still be classed as Soho for sure and this street is one of my favourites, especially right now for Christmas. 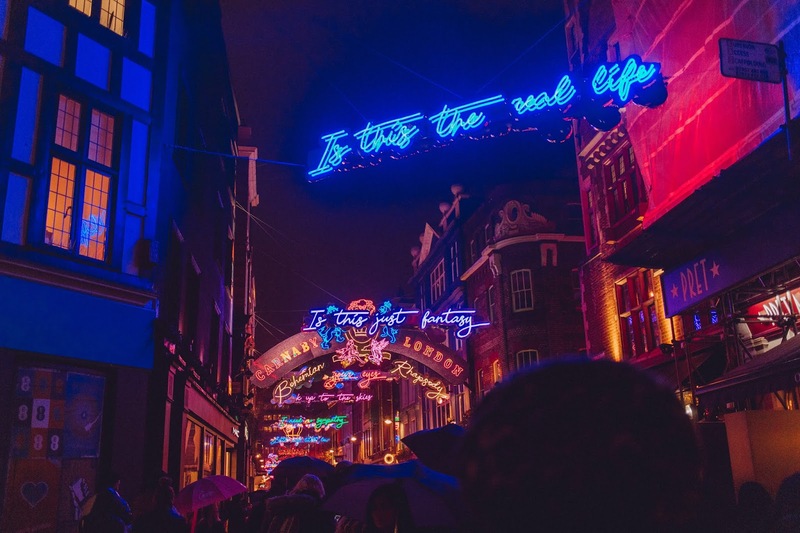 It is such a colourful shopping street and the Christmas Lights are based on Bohemian Rhapsody so it is definitely a perfect little sight right now. 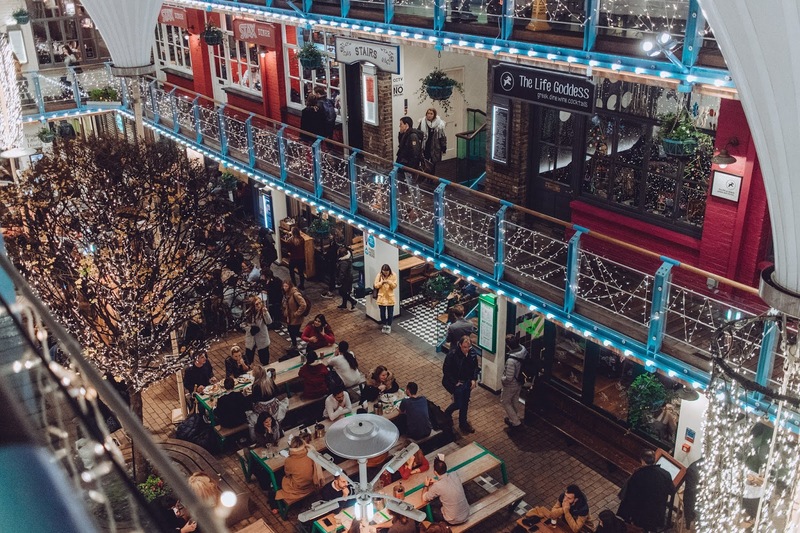 It's a nice little area for some shopping also as you have brands such as Monki, TooFaced, Vans, Benefit, MAC, a mix of stuff for any taste and it is just below Liberty of London. Soho is very walkable so don't even bother getting the tube from Tottenham Court Road to Oxford Circus. You can walk it and take the sights in and stumble upon little treasures as you do. Just slightly attached to Carnaby Street is Kingly Court which is where I headed for dinner after my matinee performance. Kingly Court is a little bit hidden away off of the main street but it is so cute and full of amazing places to eat. You have such a choice from pizza to ramen and then NYC style comfort food. You are sure to find something to please anyone and everyone and none of it really breaks the bank. I opted for Dirty Bones on the third floor of Kingly Court, because yes there is multiple floors to this cute little area. 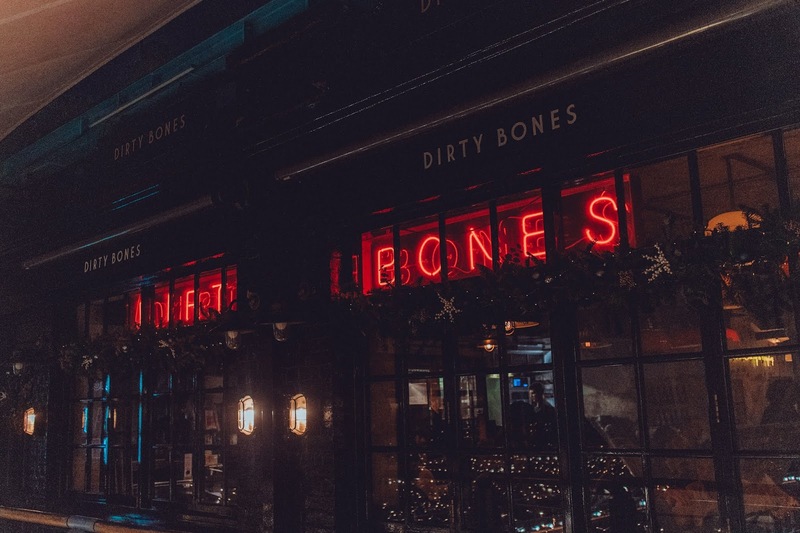 Dirty Bones classes itself as NYC based comfort food. My favourite. It is known for its chicken and waffles but I opted for a burger as that is such a classic choice. I had a friend join me also so we ate dinner together and had a lovely girly catch up. Still sticking to Kingly Court area, after dinner I then headed to drinks at Cahoots. This really is a hidden little gem and unfortunately a hidden gem that you NEED to know about. You can't just turn up to it like most bars. You need to book a table ahead and then you have that table for 2 hours. So if you do plan a trip and a night at Soho then you most definitely need to book ahead for this bar. 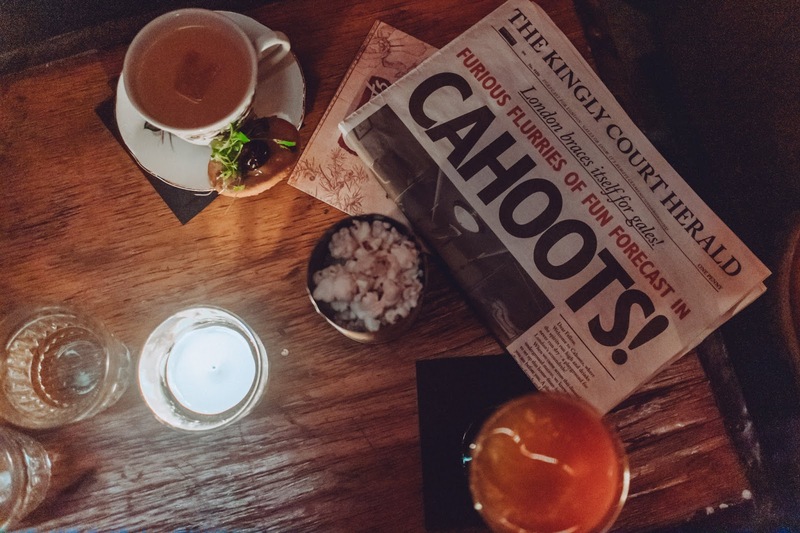 Cahoots transports you back to the 1940s and is a bar now set up in an unused Underground station. 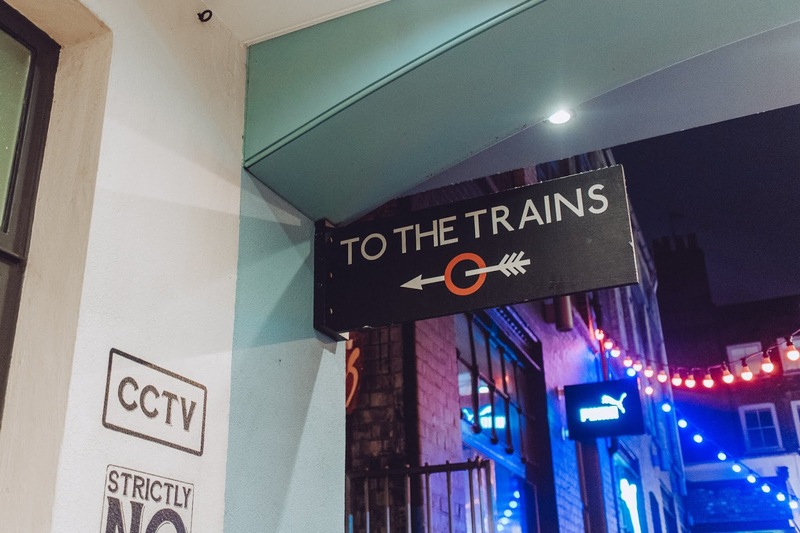 You can find it with this "To The Trains" sign in Kingly Court and then a 1940s dressed doorman. The whole place is themed as 1940s, but definitely sticks with the London Underground theme. I love a good themed bar! Cocktails are named after 1940s screen sirens or singers and the cocktail menu is this amazing newspaper they give you when they seat you. 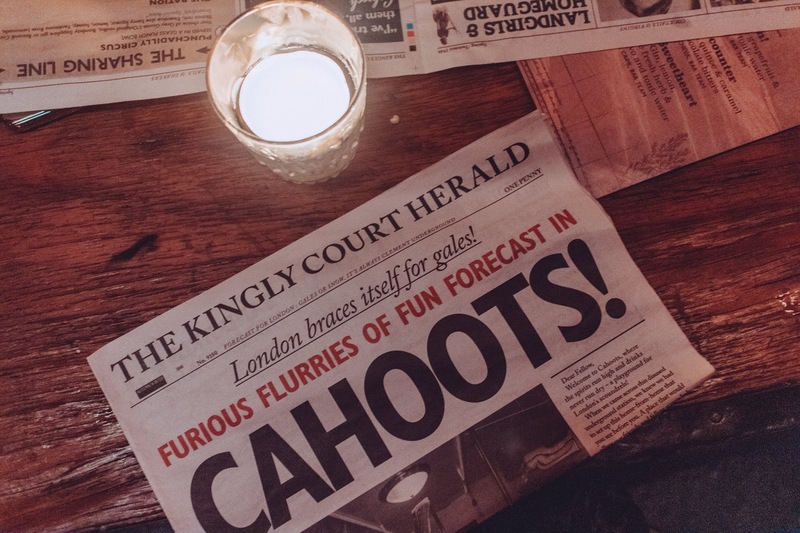 Extra Extra, read all about it, Cahoots really looks the part when it comes to its theming. When I have been to other themed bars within the area they most definitely were attentive and made sure your drinks were never empty unlike here. However if you don't want to drink too much and want to enjoy a really cute theme in amazing company then I can't fault it. Another one of my favourite themed bars in the Soho area is Mr Foggs Gin Parlour and Mr Foggs Tavern. But specifically the Gin Parlour and again, you need to book a table for it so make sure to add it to your Soho list! There is so much more to do in Soho than what I managed to do. There is a load of shopping within the area and many theatres as I did mention. You also have the House of MinaLima which features a lot of graphics and illustrations from the Harry Potter movies, as well as looking out for the 'seven noses', the Photographers gallery and Chinatown. I barely scratched the surface of it hence why I think you definitely need a couple of days within the area, and it is such a good place to eat and drink independent also rather than with big chains that are all over the country. It has many small coffee shops and places for lunch. And my favourite doughnut place Doughnut Time has a store in Soho near Chinatown. Basically, I love the Soho area for its shopping and food! What would you do in Soho? Oh, how I ADORE Soho.